In 2007, I helped write and publish a white paper about West Virginia’s economy; specifically, I wrote about the state’s need to transition strategically from an old-school, extraction economy to what author Richard Florida termed “the creative economy.” This new economy is one based on knowledge, innovation, creativity, social openness, and a strong sense of place. 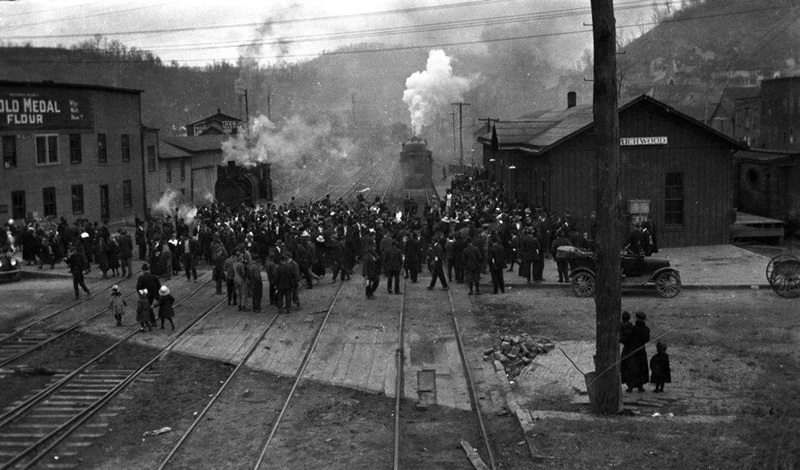 From that original paper, an advocacy organization was born: Create West Virginia (www.createwv.org). CWV holds an annual conference, but this year’s event in Richwood, WV, was a bit different from anything the group had tried before. Rather than scout out a large community with well-defined conference facilities, the organization decided to put its money where its mouth is and show off the potential of a small, even modest, typical West Virginia community. Richwood’s population was 2,051 at the 2010 census. Once a thriving coal and lumber community, Richwood was once a town of nearly 10,000 people. When underground coal mines closed, so did much of the community. Residents left not only Richwood but West Virginia entirely in search of work. Richwood was the perfect place to showcase why the mission of Create West Virginia is important. The promise at the October 2013 Richwood event was a bold one. Marketing claimed that attendees would gain strategies “to solve a big problem.” I was hooked. There really is no end to the big problems anyone who loves Appalachia can drag out of the bag. I wondered if CWV had let its mouth write some checks its planners couldn’t cash. I had to find out. I relocated to Vermont this year, so it did not pencil out for me to go in person to Richwood to find out what happened. Yet this entity, this passion, this dream of building a new economy in my home state is still a bit of my offspring. A baby bird, if you will, that I have let others adopt, but still a fledgling I want to see learn to fly and, well, not get eaten by a cat before it has a chance to grow up at least a little. I decided to sit down in a digital living room with my friend, educator Mark Swiger of Wheeling, West Virginia. Mark is a teacher and the department chair of Social Studies for John Marshall High School in Glen Dale. He’s a straight shooter. His focus was naturally on the education track, and he told me that Create West Virginia did more than just provide strategies for attendees this year in Richwood. The conference, planners, facilitators, and panelists modeled for communities and individuals how to transform communities. As an educator and a presenter, Mark used problem-based learning as a model to look at the achievement gap but also at what he called “a more devastating gap” — the engagement gap. He also attended the Entrepreneurship track where questions emerged about encouraging an entrepreneurial spirit in West Virginia communities and schools. It was refreshing to see the state’s schools through the West Virginia Department in partnership with business, government, NGOs, and higher education being encouraged to contribute to the innovation economy through programmatic response to what education stakeholders have been saying for some time. Schools need to be encouraging student to plan to be in control of their own futures. CWV’s track discussions received good reviews from attendees and most admired how Richwood was utilized as a Create West Virginia laboratory for building creative communities in concert with local leaders and community members. The most inspiring part of the event was just being in Richwood. He noted taking a conference of this magnitude to places like Richwood is risky. People might not want to come to a place without the usual luxuries of dining and shopping. The location was off the beaten path and not easy to access compared to a big venue just off the Interstate highway; but the CWV team is known for seeing the direct correlation between risk and reward. The organization’s leadership knows how to capitalize on the pioneering spirit of West Virginians: this is a state built by people who understand a rough road. 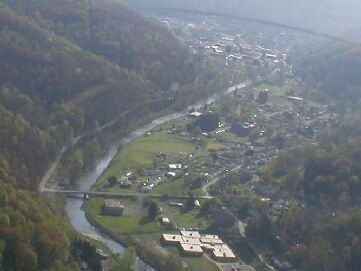 Richwood’s community spirit is similar to other hamlets and cities in the state; people are proud of their place. “Create West Virginia is inspiring communities to be their own problem-solvers,” Mark told me. What if West Virginia had started diversifying its economy decades ago? Would people still be in Richwood? Would the generations lost to the “brain drain” have found rewarding careers in technology, research, science, art? The people who brought Richwood back to life, if only for a few days, think it’s time to grab the reins and direct a new vision for West Virginia. I know many of these people, and I believe they represent the intellect and leadership to realize that vision. If you would like to get involved and learn more about the motivated, hard-working people of Create West Virginia, visit their contact page here. You’ll find a telephone number, email address, physical address as well as plenty of social media hook ups. They invite you to “bring it,” and I hope you will! ← The Path Out: Can Child Abuse Be Stopped without Revenge? Richwood was always the last stopping point before going to our campsite on the Cranberry River.